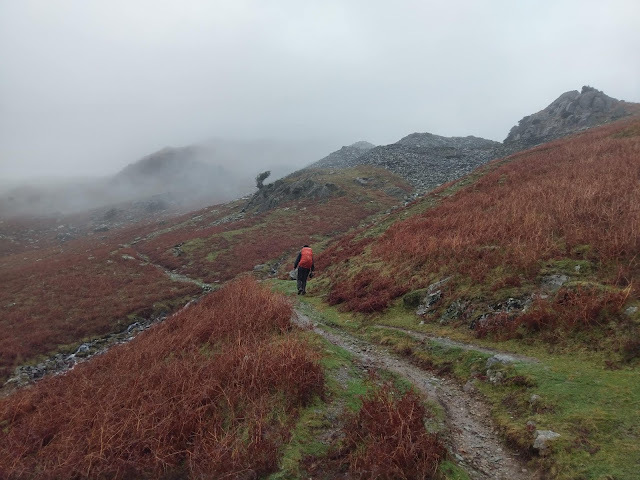 After a day squelching around the fells above Tilberthwaite, we set our sights on the southern group around Yewdale. From Coniston, this small collection of peaks look unassailable to mere mortals, though they are easily accessible from the Coppermines Valley. 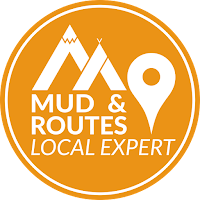 This walk makes a good alternative to the better-known favourites of the area. Weather-wise, we were in for an almost carbon copy day; rain, rain and, perhaps more rain if we were lucky. 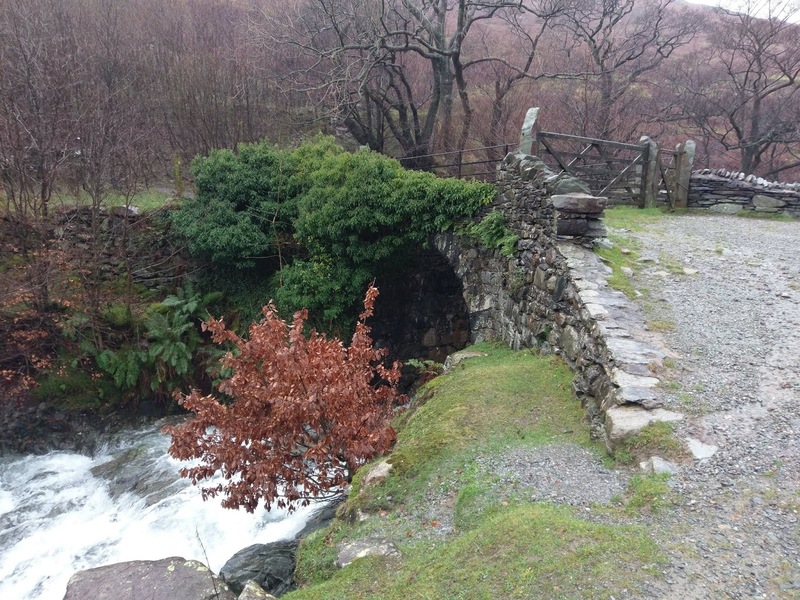 Bearing this in mind, we used the opportunity to use two cars; one parking in Coniston and one at Tilberthwaite. 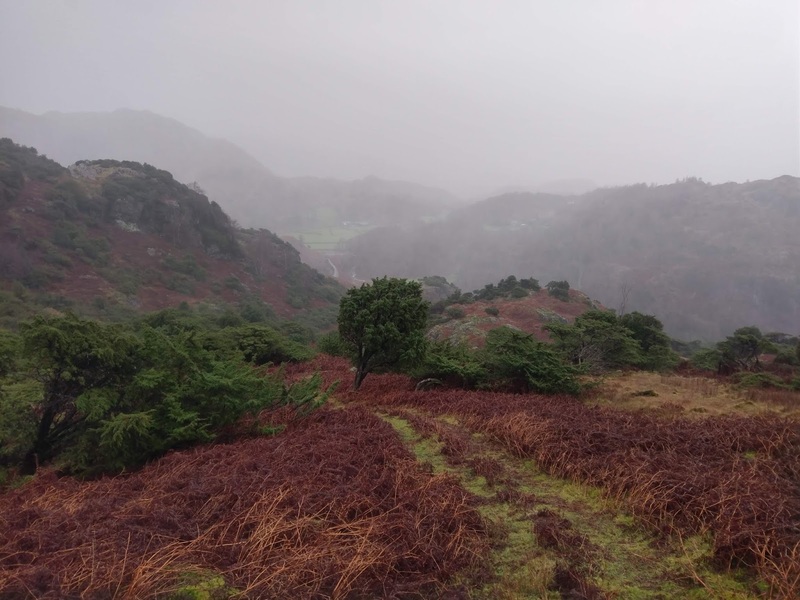 We set off, with the rain pouring, following the road into the Coppermines Valley. As we reached the hydropower weir, we branched off to start our climb up to Hole Rake. 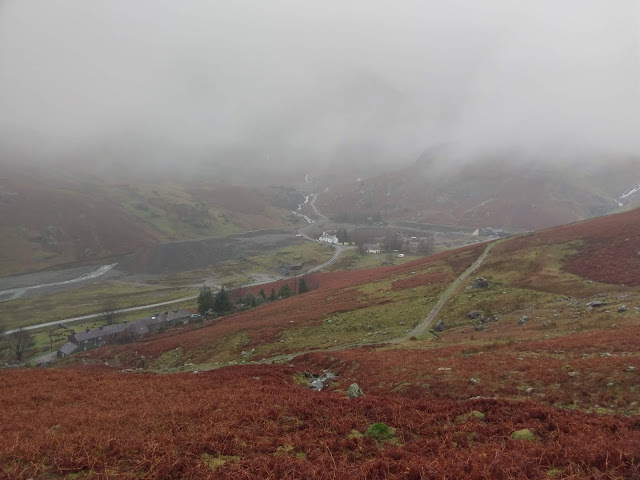 The path climbs steadily up the hillside above the Coppermines valley and, despite the cloud and rain, views were rather impressive. There was even the slight hint of blue skies as we reached the top. This, however, was short-lived. We departed the path onto the pathless area of Yewdale. The rain became heavier, driven by a strong wind, dousing the vague hints of blue we'd seen earlier. 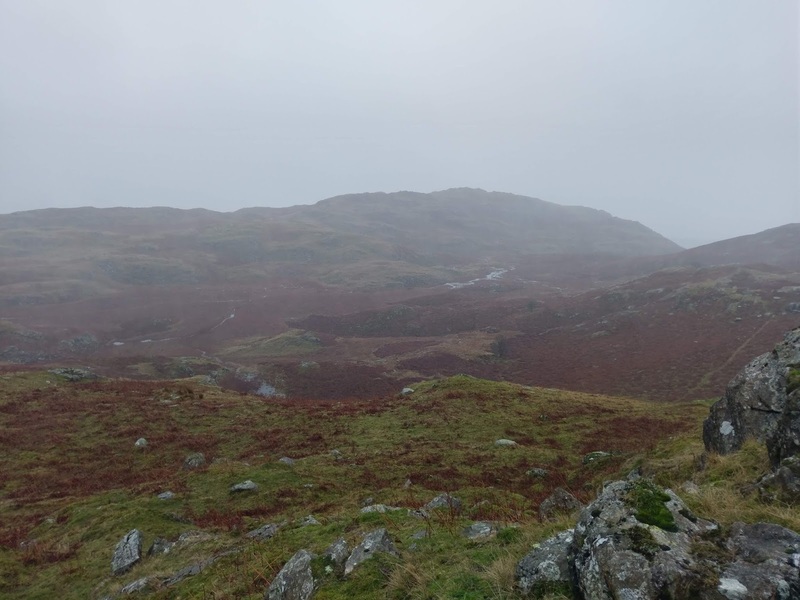 The Yewdale fells are an interesting collection of hills and a worthy place for exploration, even on a day like today. From the south, the first is Kitty Crag. Beyond Kitty Crag is a marshy depression, made all the marshier by the weather. We managed to pick a way across, keeping any water out of our boots before climbing to the top of Long Crag. 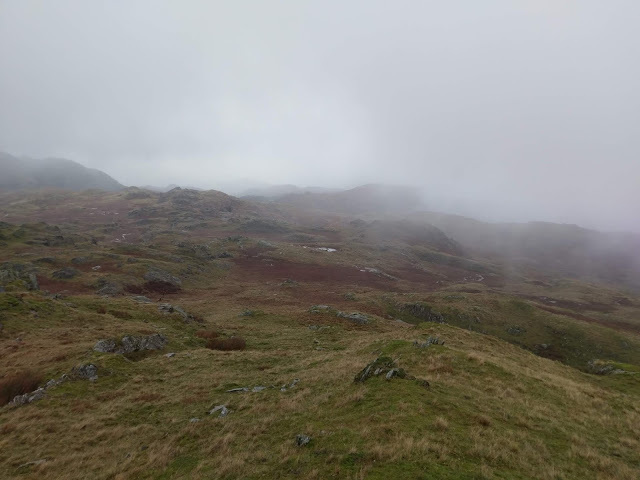 Views from these little fells are supposed to be very good as the look over Coniston and the lake. Sadly, no views for us today. 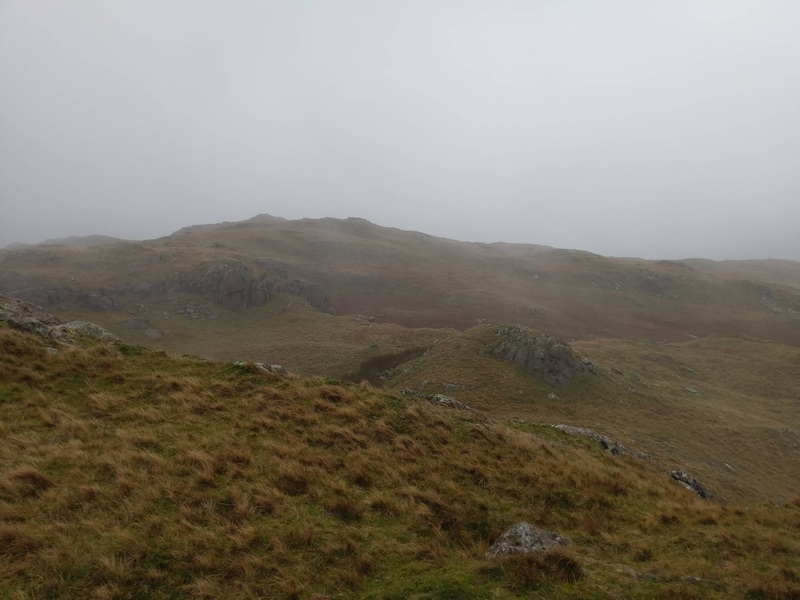 Immediately next to Long Crag is High Wythow and then Low Wythow, both having enough prominence to be classed as separate fells. Further still is Coniston Moor, the high point being Brackeny Crag. 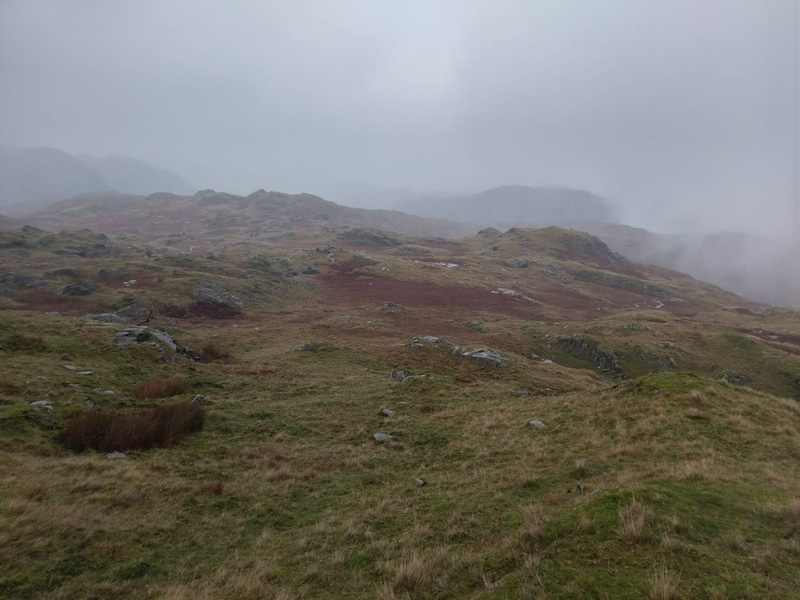 The clouds had lifted a bit as we made our way across the undulating terrain between Low Wythow and Coniston Moor. The final climb up to Brackeny actually involves a little bit of scrambling which was a welcome change to the grass and marshes. 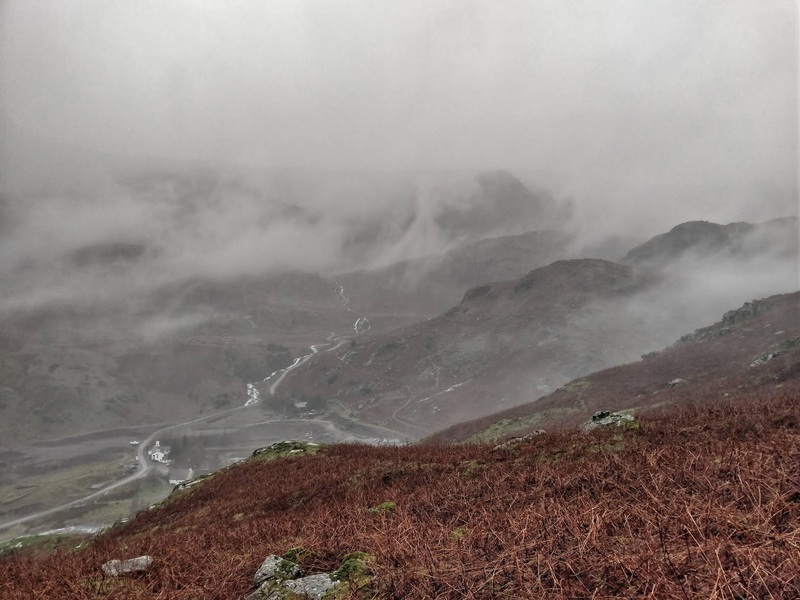 With the Yewdale fells in the bag, it was time to plot a route down to Tilberthwaite. Using a combination of luck and judgement we picked up a path heading into the old quarry workings below Goat's Crag. Here, the path winds down through a delightful valley filled with Juniper trees to until it reaches a path traversing the Tilberthwaite valley. 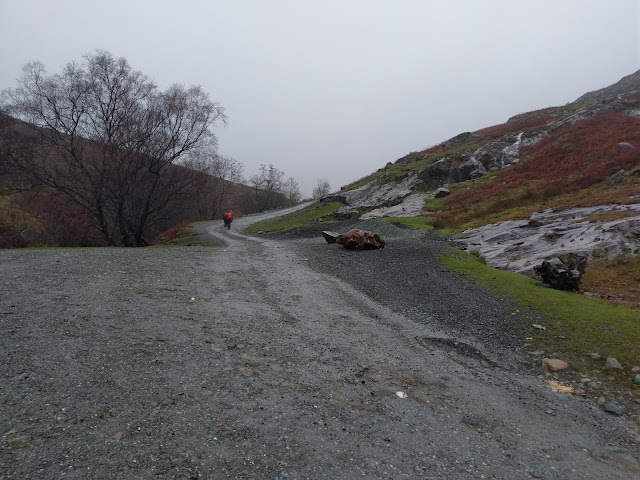 As you can see from the photo above, it was still raining heavily as we made the final walk back to the car. 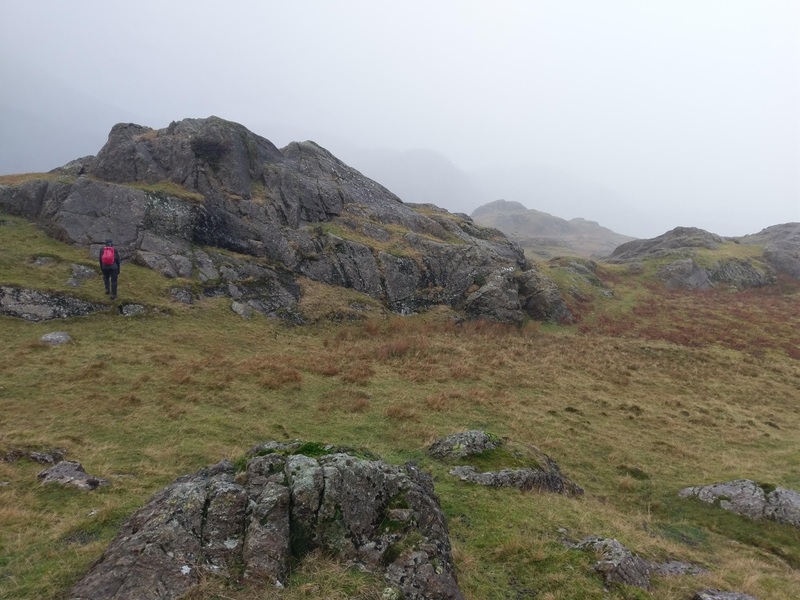 We passed the disused quarry at Horse Crag which itself is interesting. Ultimately we made it back to the car, soaked through but having managed a half decent outing on the fells. Walking in the United Kingdom. Written generally as a reminder to myself about what I've been up to over the last few years, you'll find a variety of walks that I've completed across the north of England; particularly the Yorkshire Dales and the Cumbrian Mountains. Dave Chick. Powered by Blogger.